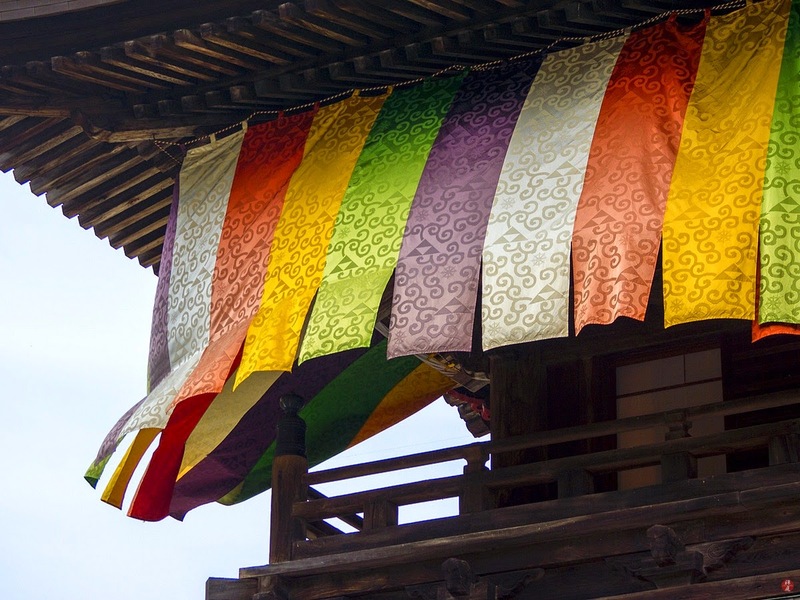 The five-colored hangings, which are suspended from the eaves of the mountain gate for a celebration day, are slowly swaying in the gentle breeze of late summer. 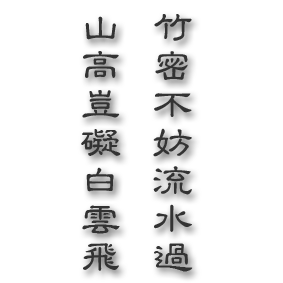 These five colors are symbolic of the five kinds of wisdom of Buddha. Red is the blood color of Buddha and represents his profound compassion on all living things in this painful world. Gold (or yellow) is his body color and represents his ultimate power which destroys all earthly evil passions and darkness. Green (or blue) is his hair color and symbolizes his absolute tranquility of wisdom which can reveal the eternal truth of everything. Purple is his robe (Kesa) color and represents his supreme endurance which overcomes every persecution, temptation and insult. White is his tooth color and symbolizes his pure heart which cleanses every evil and agony of this land of the living.